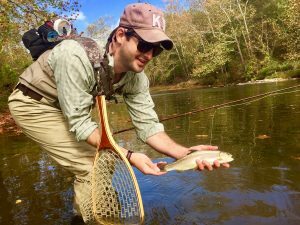 Doug putting them in the net at Big Bend Farm on his birthday. Hopefully the fall temperatures are finally here. If you are a cold water angler, things are starting to look very good. 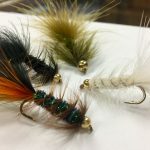 Air and water temps are dropping and the bugs/caddis are hatching. 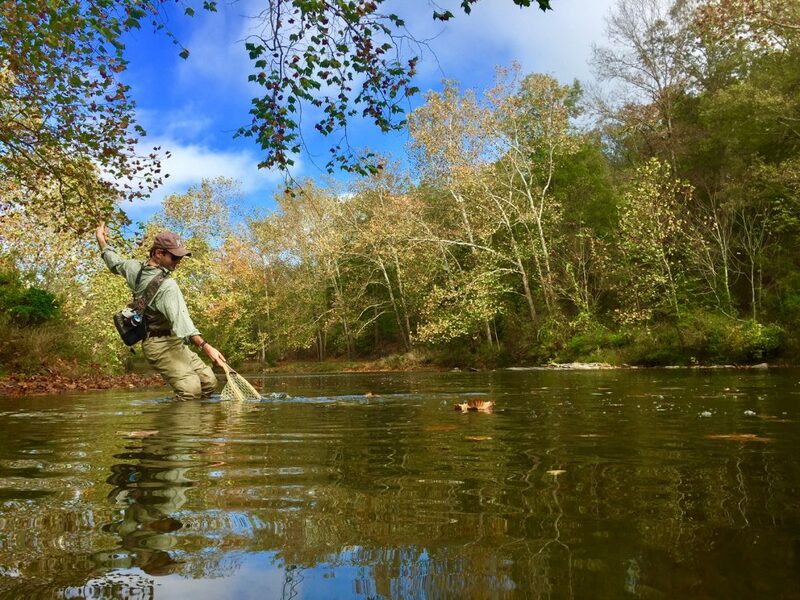 Even though we still don’t have much water in most places in Virginia right now, we are very happy that the air and water temperatures are dropping. This has a number of positive effects for our cold water species, trout and musky. First and foremost, cold water holds oxygen much better then warn water. What does that mean? Think of it this way, altitude sickness. 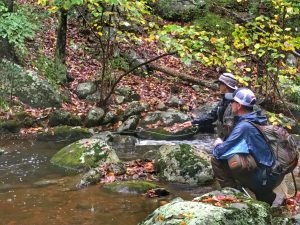 Our cold water species need higher dissolved oxygen levels. When those waters warmup the oxygen levels go down and it’s much harder for the fish to get the oxygen they need. They feel sick. The other thing cold water helps with is lactic acid buildup. Fish like people buildup lactic acid when they exert higher levels energy then normal. The cooler water helps them recover better/faster when properly released. Second, starting with trout. 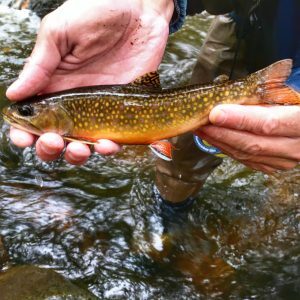 A lot of insects that trout love to eat hatch in large numbers in the fall with the temperature change and change in sun angle. 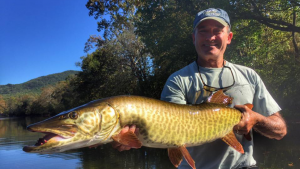 As for musky in Virginia. 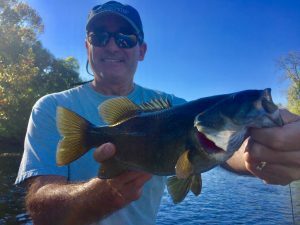 They are a cold water fish that for some reason can handle the summer temps in what I would call our warm water fisheries. The James, Shenandoah and New River. Okay. So, what does that mean? 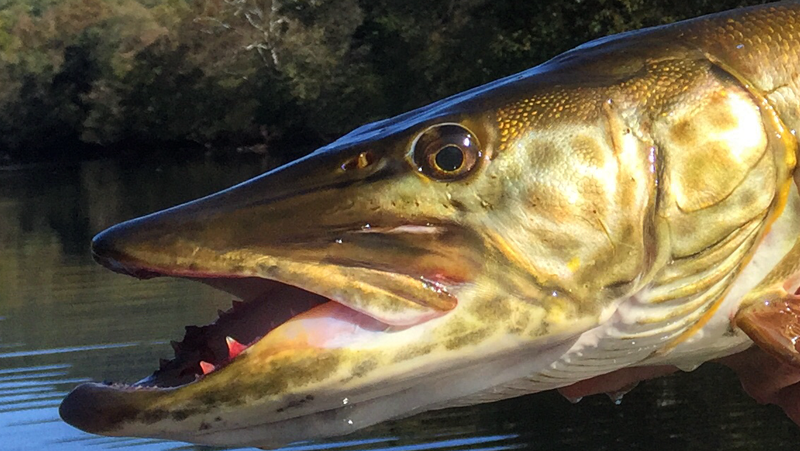 The forage for musky in this state are warm water species. I’m getting to the point, stick with me. 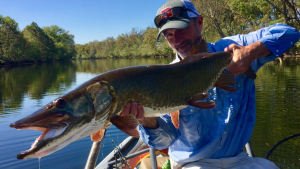 The warm water forage species start to slow down and make easier to catch meals for musky during the cooler months. 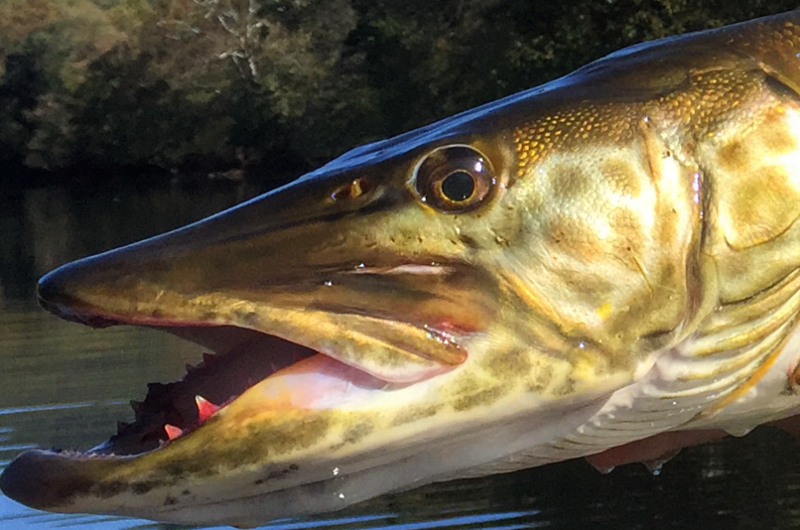 What this all means is, musky believe they have a much higher chance of catching their prey so they don’t mind putting out the effort as much. This is a double edged sword for those of us trying to catch them. They know grabbing a bite is easier so they can eat larger meals and be more selective. Not so good for us. However, a well placed fly or lure moving slow past them can be hard to resist. Not so good for them, great for us. Back to trout. 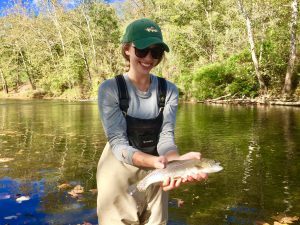 The trout streams in Virginia that do have water are fishing great. That might be a stretch. 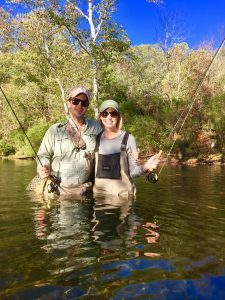 They are fishing great if you enjoy and are good at technical fishing. Reading the water/seeing the fish can be very challenging, small flies and very light leader and tippet in low clear water will all help. 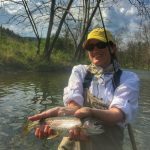 My trips this past week where some of my most memorable. They are in order below. Starting with Tom and Barbara. 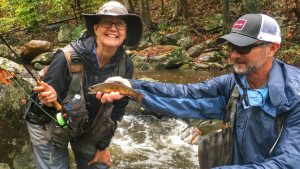 They are fishing their way through Trout Unlimited’s 100 trout streams. They checked off #85 and the only one mentioned in Va, the Rapidan. Congratulations. Best of luck and continued success on the rest of your journey. I finally got to float my friend Dave for musky. Well mostly musky. I couldn’t stop him from casting to smallies in some spots so he boated some nice smallmouth as well. Great work Dave. Awesome fish. Don’t worry I won’t mention anything about the hookset on that other one that ate. I mean the lack of a hookset. Not a word. I won’t say a word as long as you don’t tell people I caught one on spin gear. HAHA. All I’ll say is when someone asks for an example things like that happen sometimes. I got to end my week celebrating Doug’s birthday with he and girlfriend Margeaux on Big Bend Farm. What an amazing and fun day. Yes. It’s low and clear/technical but that didn’t slow these two down. Great job out there. Happy Birthday. I would talk about how great all the other guides and their trips went but hey, I’m the one writing this thing. Hope to see you on the water. Tight lines.